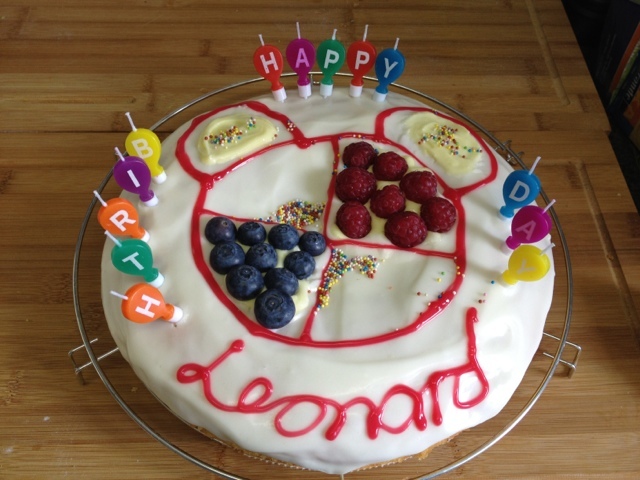 I made a lemon cake for a birthday party today. The birthday boy likes Mickey Mouse Clubhouse and Toodles, Mickey’s little helper. 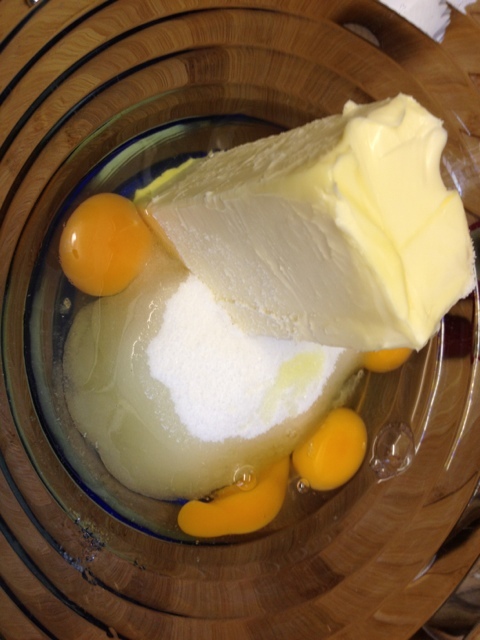 For the lemon cake I whisked together 250g butter, 250g sugar and 5 eggs. 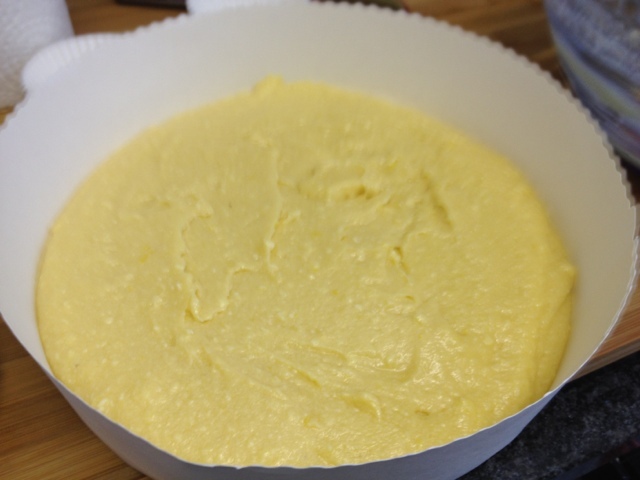 I added 250g flour, half a packet of baking powder and the zest of 1 lemon. 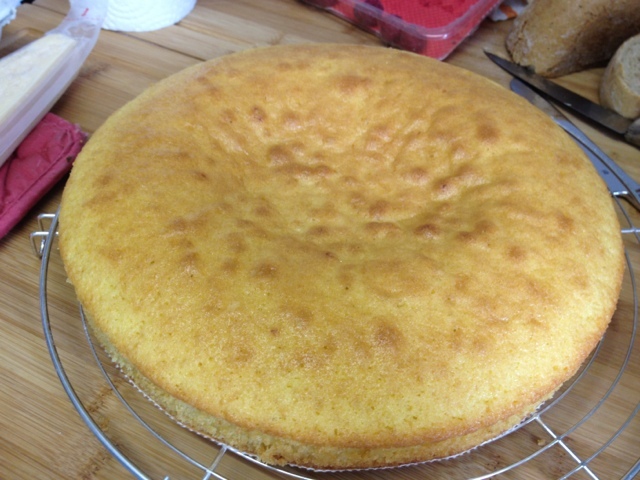 Then I baked the cake for about 25 minutes at 180 degrees Celsius. 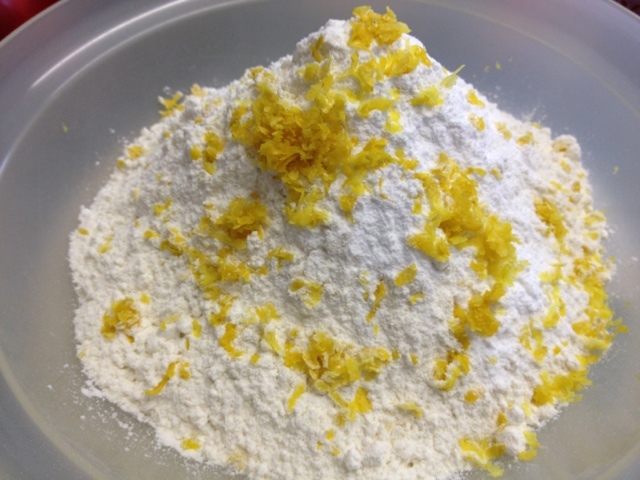 For the icing I mixed 250g icing sugar with the juice of half an onion LEMON (onion??? where did that come from?) and 100g cream cheese (I used Philadelphia). 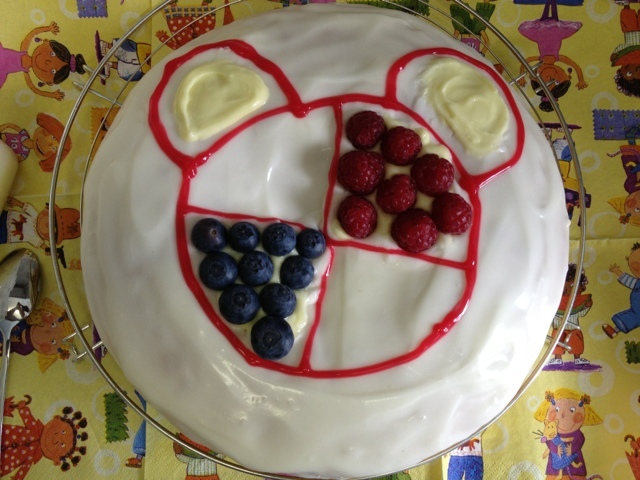 I further decorated the cake with red coloured icing from a tube, raspberries and blueberries.